Loan Decision in 30 Seconds Applying for a loan is incredibly easy with Droom Credit. We help you get instant loans in 30 seconds without any physical documentation. You can apply for a loan 24x7 without worrying about the brick and mortar bank timings. Data Science Algorithm Behind Approval Droom Credit works on our proprietary algorithm, which processes the data provided by you in the backend for loan approvals. Customized Repayment Schedule We offer easy repayment options, wherein you can plan your EMI schedule as per convenience. Digital Lockers We understand your concern for security and privacy. We ensure to keep your personal details and digital documents safe and secure. Unbeatable Loan Terms Dreaming big? 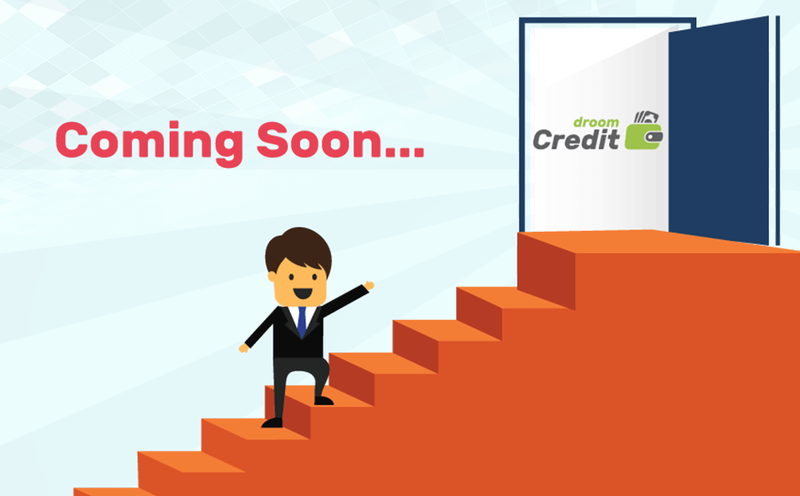 Droom Credit has got you covered with instant loan approvals at affordable credit terms. Instant End To End Online Loan Approval Everything is on the cloud. We securely process your loan request within minutes, so you don't have to wait to get your dream. No Manual Efforts Required We offer fully automated and paperless process. You just need to upload your digital documents; no physical documents required. We Do It All - Your Headache is Now Ours with Digitization Droom Credit will do everything from checking eligibility of a borrower to verifying documents and compiling the details. All you have to do is make better use of your time while we do everything else. Automated Lifecycle Management of Loan Using our advanced technology, we take all the information of a borrower, check credit history from Experian, get the required documents and send you the approved details for processing the loan. Hassle free & Paperless We are eco-friendly with zero paper usage, and everything is done digitally. Droom Credit works on a paperless model where information is stored securely. No more ransacking of files on shelves! You can access any information in just a few clicks. Seamless Technical Integration - Easy to Use Droom Credit offers easy and simple integration of your platform with ours, if required. Approval in 30 Seconds Reduced Turnaround Time! Droom Credit does everything digitally to reduce manual effort and turnaround time for processing a loan application. We verify borrowers' details online and forward most eligible loan applications for processing. Only Verified & Eligible Customers - No Leads With instant loan process, we offer you only the eligible customers who want to take the loan, rather than just leads who may or may not be interested in the same later. Self-Service Panel - Manage Your Loan Eligibility Criteria Effortlessly Droom Credit offers an entirely self-service panel. You can customize the details as per your business requirements and view all the details of processed loan applications. Paperless Process - Save your Time & Cost There are no manual efforts required to verify various files and documents. Droom Credit is a completely paperless process where everything is done on a secure platform, savings your time and cost. Digital Lockers & E-Signatures - Fully Secure Droom Credits saves all the details of borrower and bank on a highly-secured platform, governed by regulatory compliance. Your details are not shared or disclosed to anyone. Get More Business Droom Credit will help you increase your sales and traffic, as your committed customers can get instant loan approvals. And you get paid directly through a lender. Easy Financing for Buyers No more files and running around table to table for loan approvals. Droom Credit offers fully automated and paperless process for instant loan approvals. Seamless Technical Integration Our easy to use widget can be easily integrated on your platform, offering best user experience. Digital Lockers We understand your concern for security and privacy. We ensure to keep your details and information of a buyer like digital documents, safe and secure.